You can feel a sports facility’s energy as soon as you walk inside. Sports and fitness businesses like ours depend on projecting intensity, passion and top-tier competency. However, plenty of us fail to make sure our customers feel those things when they enter our space. 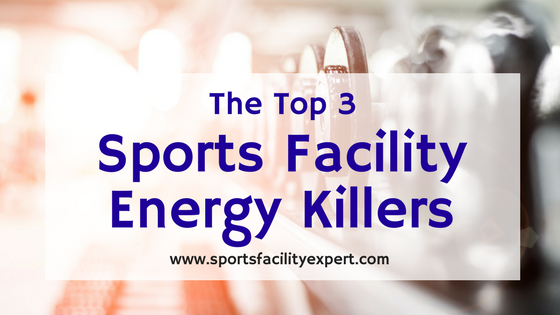 Over years of working with sports facilities, I’ve noticed that certain factors tend to creep up and drain our sports facilities’ energy. These energy killers can be tough for most owners and managers to notice, and I’ve been guilty of harboring some of them myself in the past. Do any apply to your facility? What it is – You walk into a sports facility and it’s eerily quiet except for the buzz of the lights and the sound of one or two athletes. Why it hurts your business – Most of our facilities aren’t like this all the time — just once in a while. But think of the impression it makes on any potential clients who walk in. How to fix it – If you know the facility will be mostly empty (and you should if you’re encouraging advanced scheduling), consider changing your schedule. Opening your doors has expenses — heating, cooling and staffing are a few. But the cost of projecting a slow, gloomy vibe could cost even more in the form of missed opportunities. If you are open when it’s slow, make sure staff is ready to enthusiastically greet customers. Touches like music and good lighting can also help. What it is: You know right away that the staff and athletes very right at home at this sports facility because you see their personal belongings lying around. The bathrooms may be neglected, the equipment may not be put away, and staff and clients may use casual or “adult” language. Why it hurts your business: This attitude turns off lots of potential clients — namely, anyone who would not feel comfortable at a frat party. That includes most parents, especially those of younger high schoolers and middle schoolers. 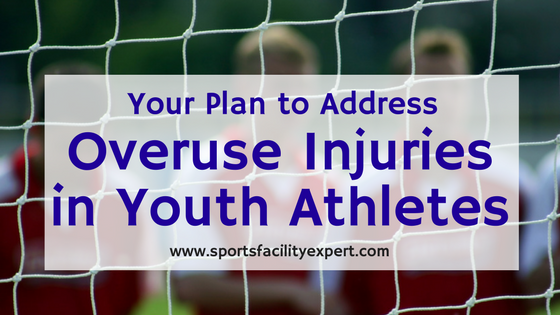 Parents need to feel extremely comfortable dropping their kids off at your facility. How to fix it: If you’ve hired a bunch of young guys fresh out of college, you may be at risk for this. I was, too. The best way to combat it is to use checklists for cleaning, opening, closing and any other problem areas. I had to check in frequently to make sure break rooms and offices were tidy. Camaraderie is a great thing, but keeping staff occupied with smart scheduling practices can minimize locker-room-type behavior. What it is: You’re more likely to see elementary school aged kids chomping down pizza than athletes training, or are more likely to hear a toddler screaming than the collision of a ball against a bat. Why it hurts your business: In this flip side of the Locker Room Attitude, facilities go almost too family-oriented and alienate the serious athletes. Too many small kids around makes your serious programs vulnerable to competitors who seem more professional. How to fix it: Focusing on families is great and can be very profitable — as long as older athletes also feel at home in your space. Keep family and athlete programs separate by running them at different times or in different areas. Some of my eSoft Planner clients completely separate their professional level training areas from the rest of the facility and only let certain members in. Bigger rec centers often host their sports training programs separately in a space that’s branded accordingly. Overall, I’ve noticed that these energy killers creep up over time as we get too comfortable in our space. The next time you walk in, look at it with fresh eyes. 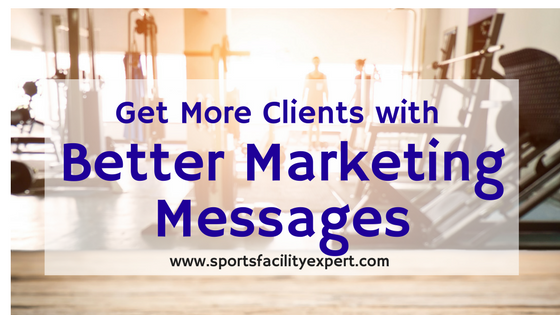 Make sure what you see is in line with your sports facility’s brand and mission.